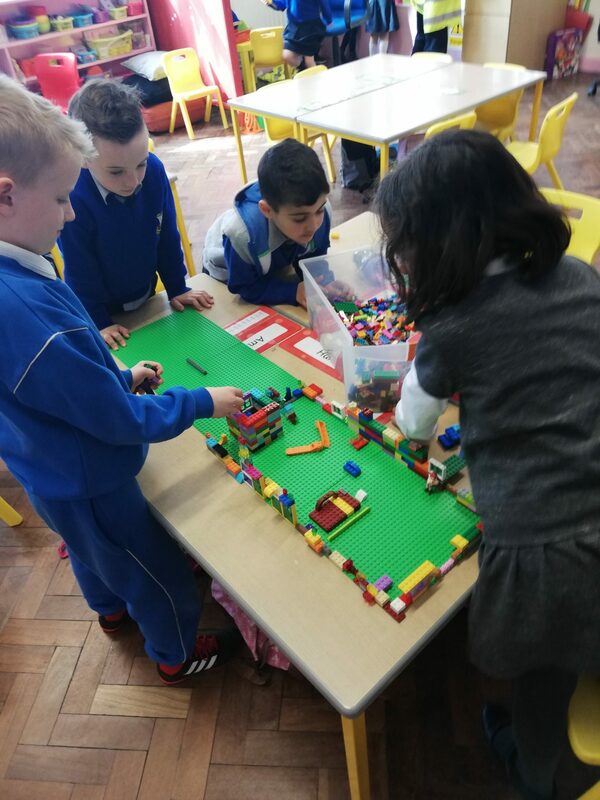 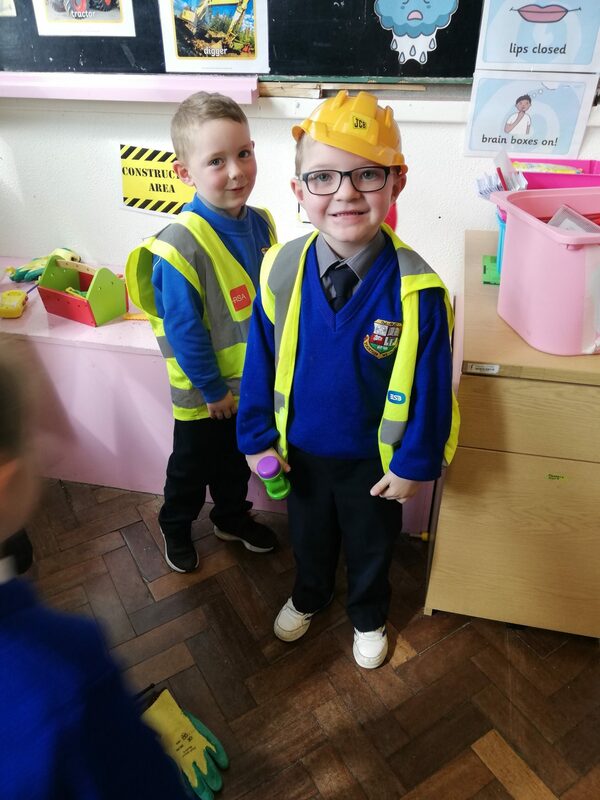 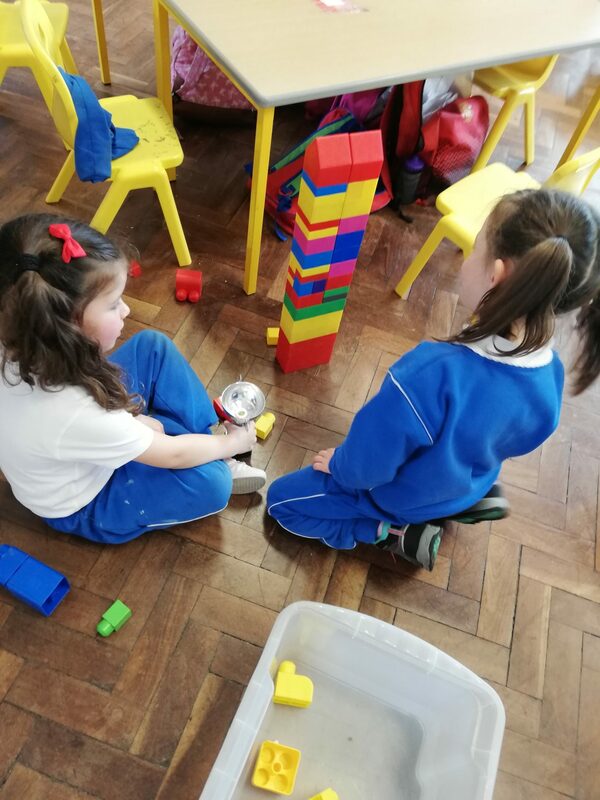 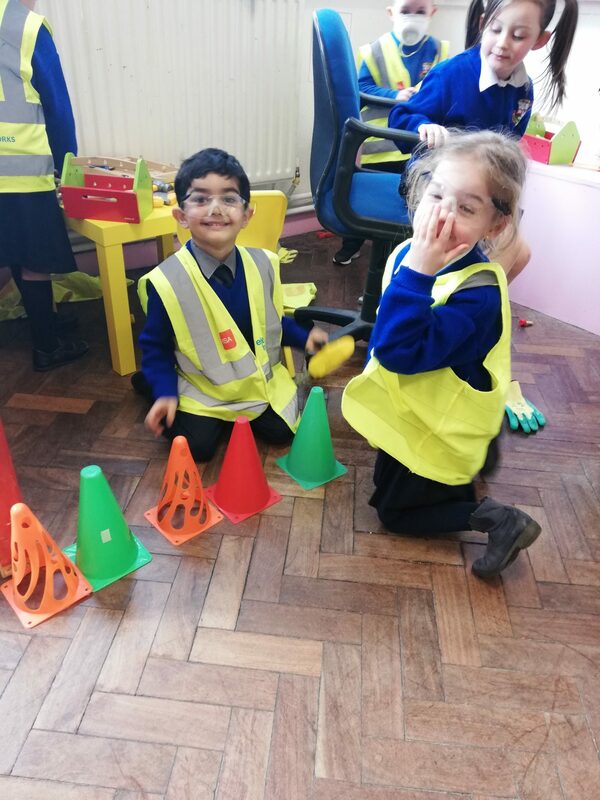 Our Aistear theme for April is the building site! 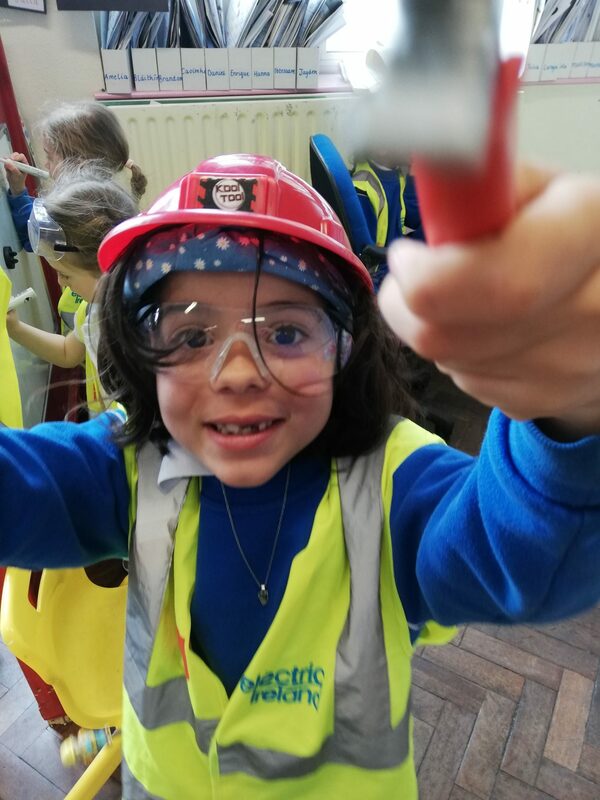 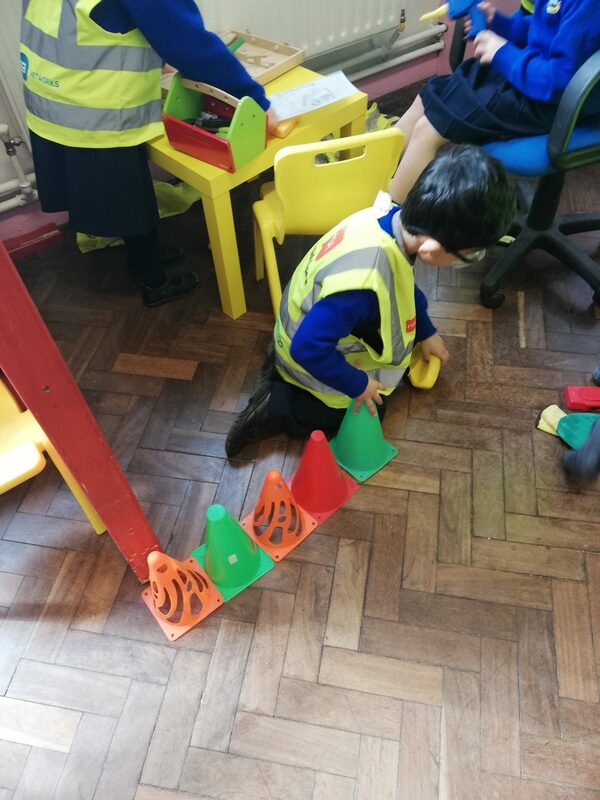 We have read lots of lovely stories about all the work that goes on on site and we have been working hard to be the best builders, architects, plumbers, carpenters and electricians! 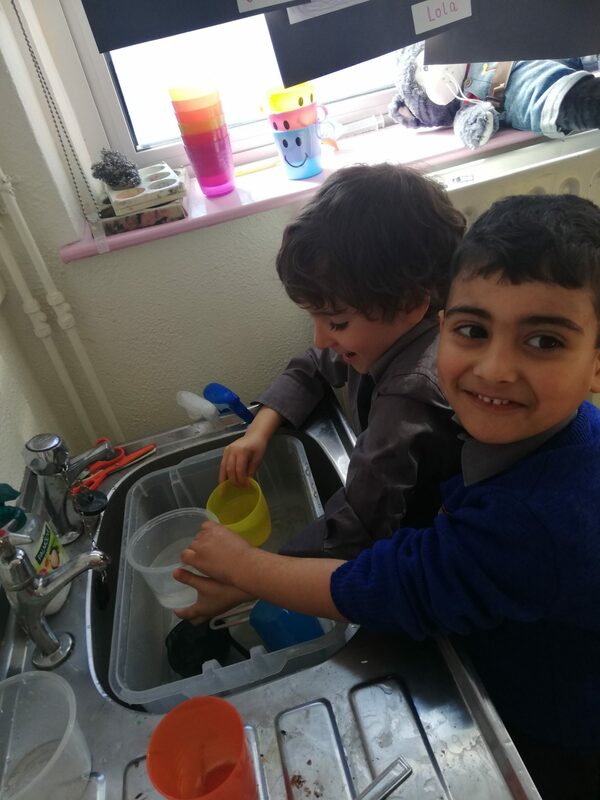 Here are the kids at work! 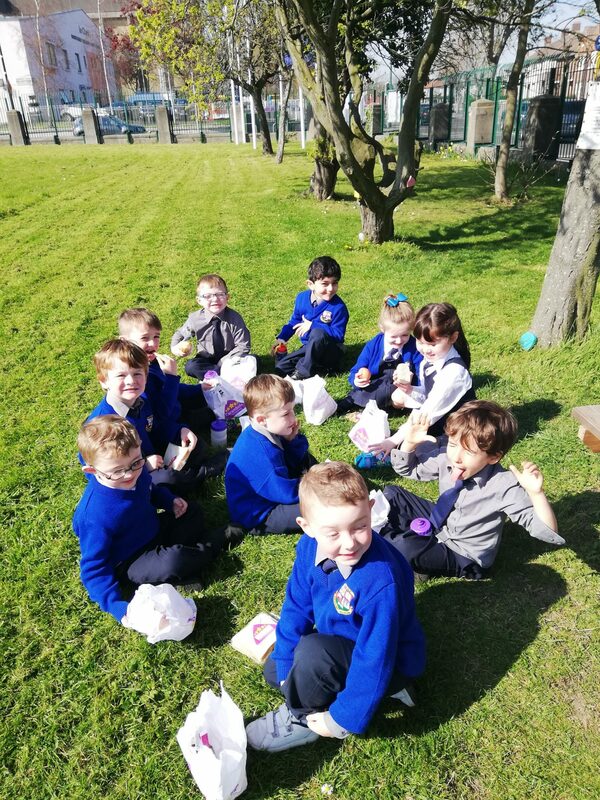 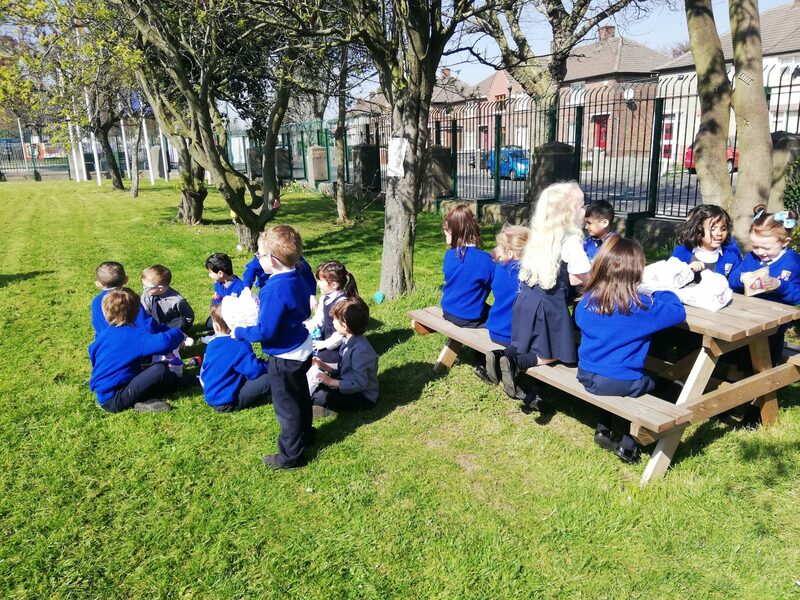 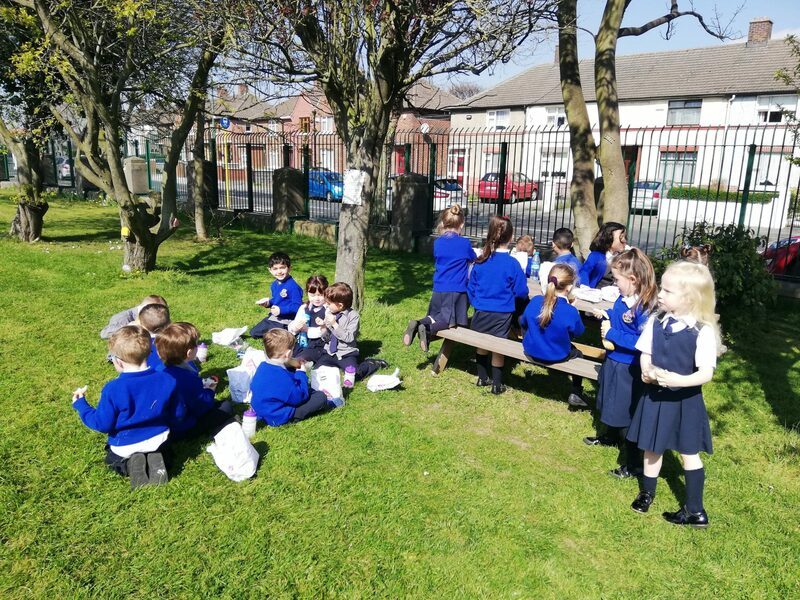 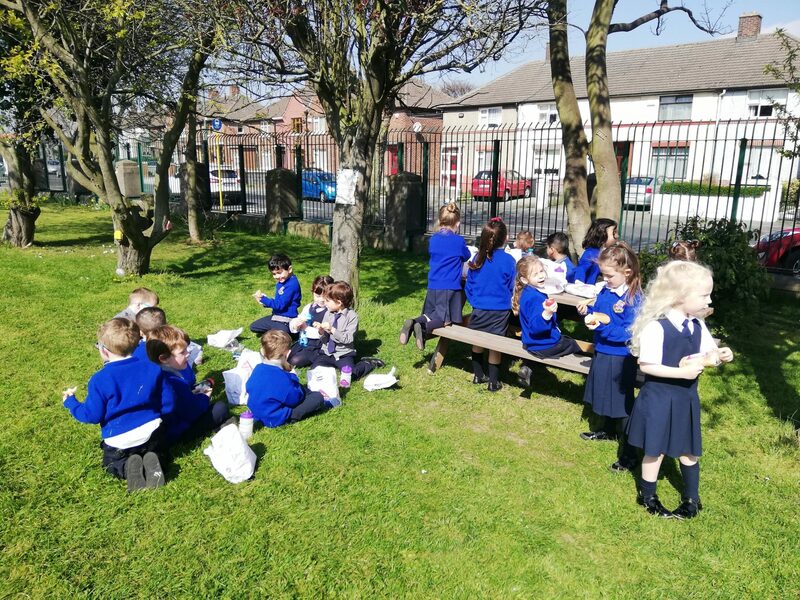 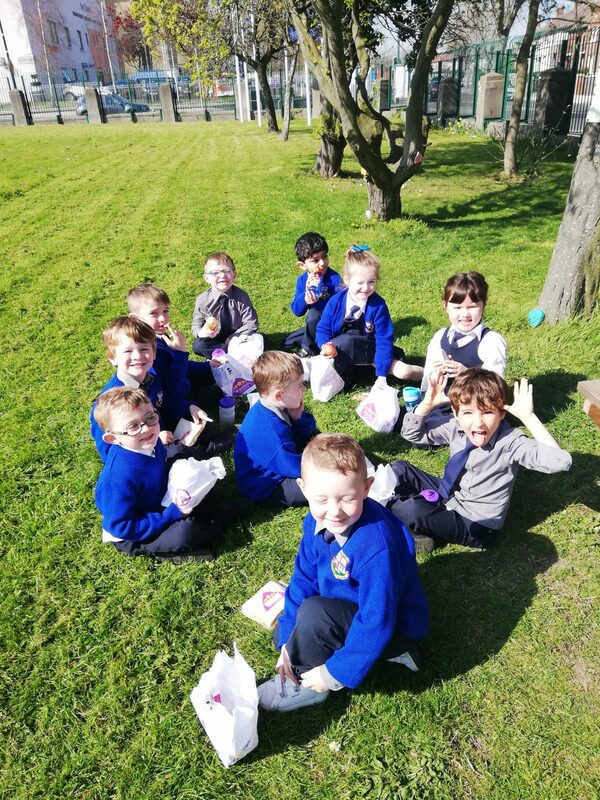 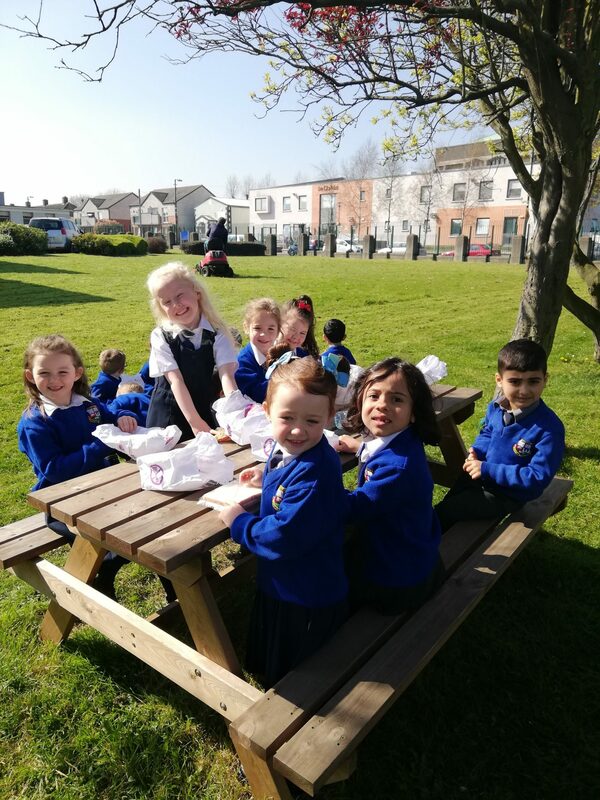 Thanks to some lovely weather last week we got to have a picnic outside. 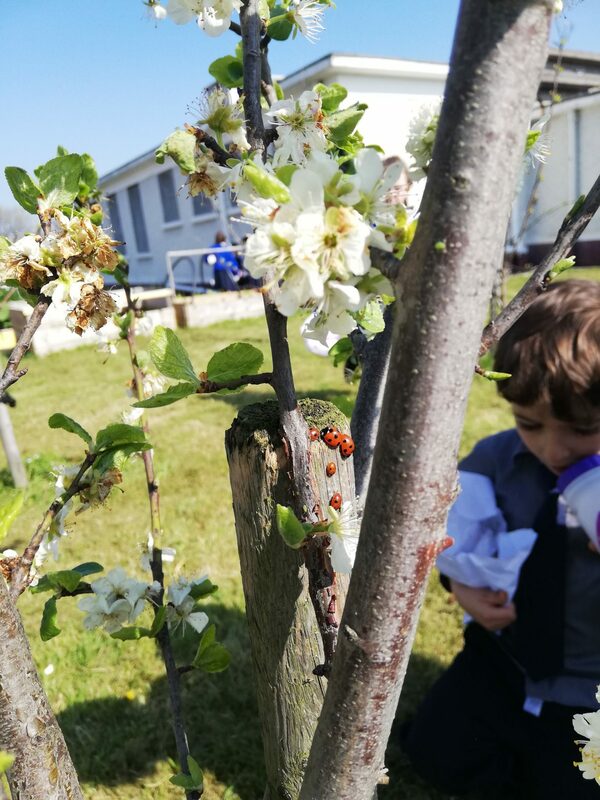 We went searching for fairies and found a lovely ladybird family on our travels. 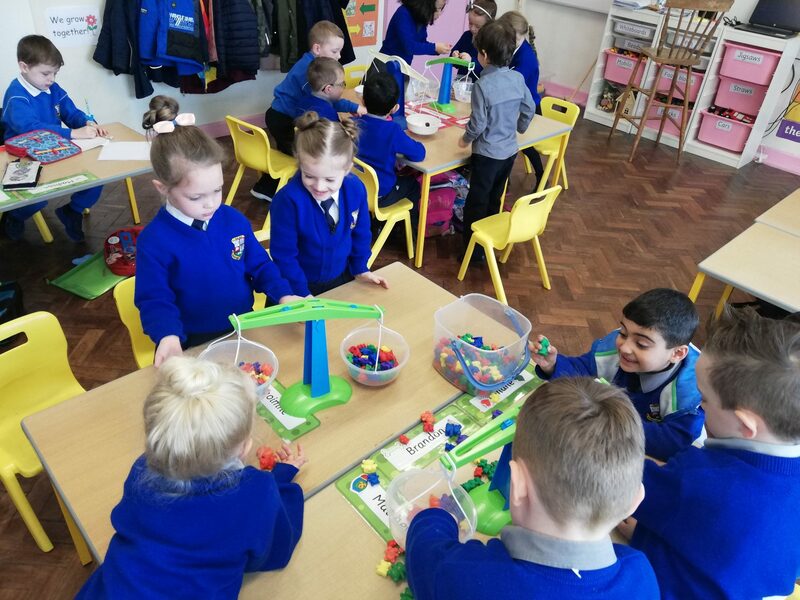 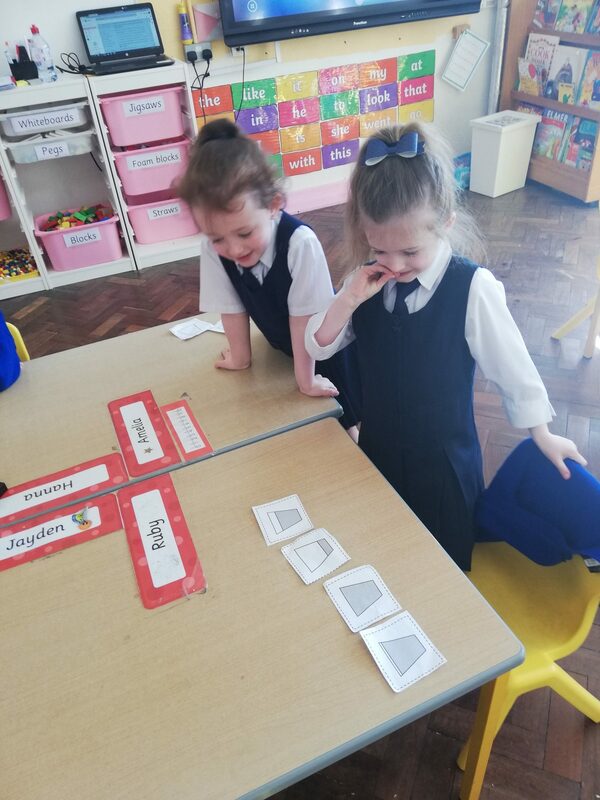 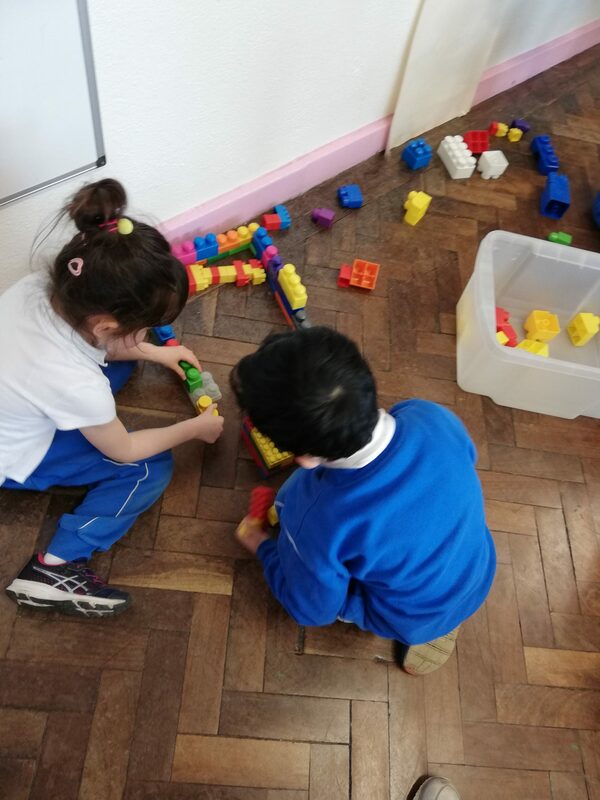 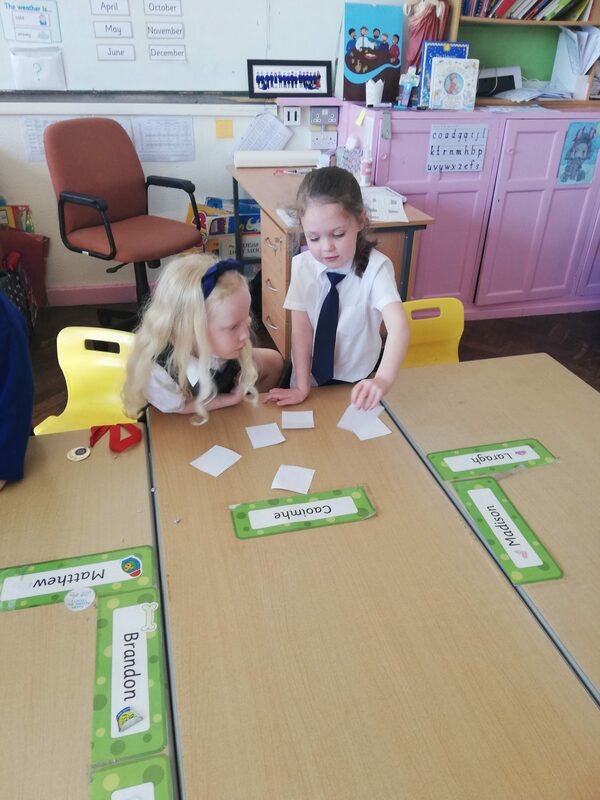 In Maths we have been exploring our measures. 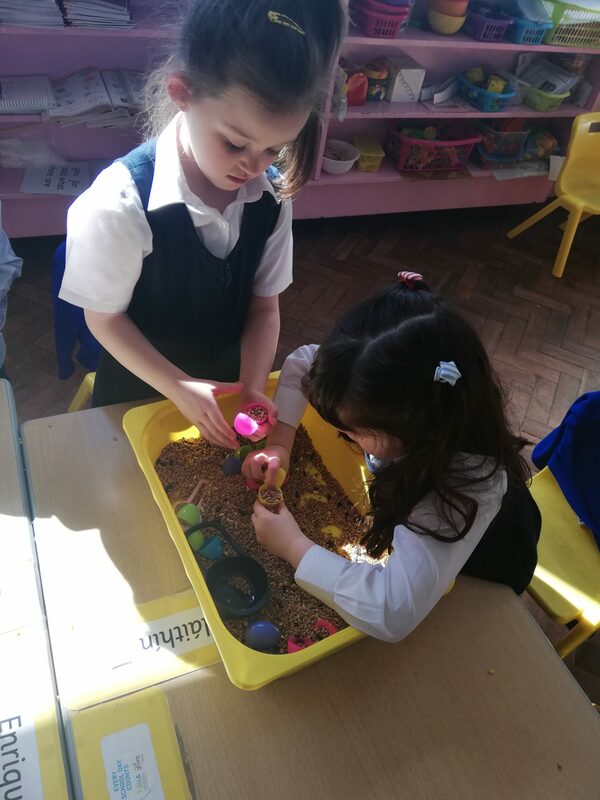 We learned all about capacity and challenged our friends to make containers full, empty, nearly full and nearly empty. 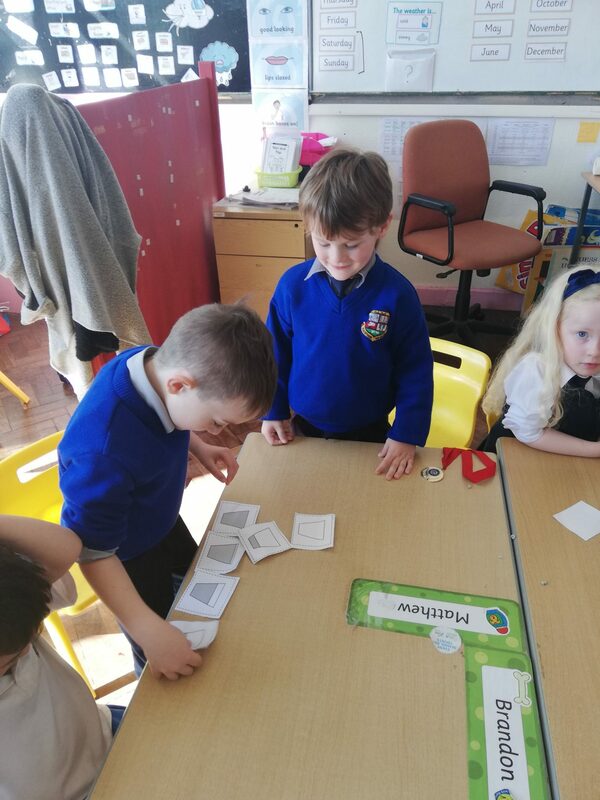 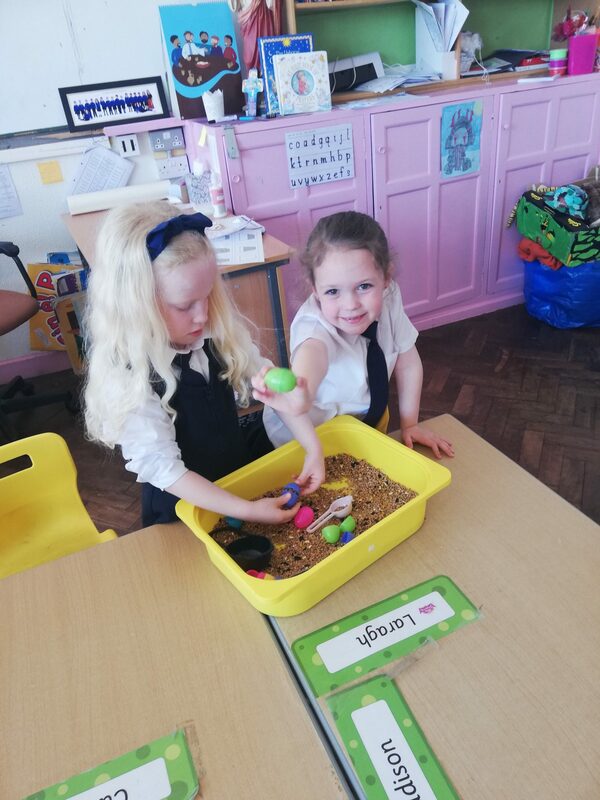 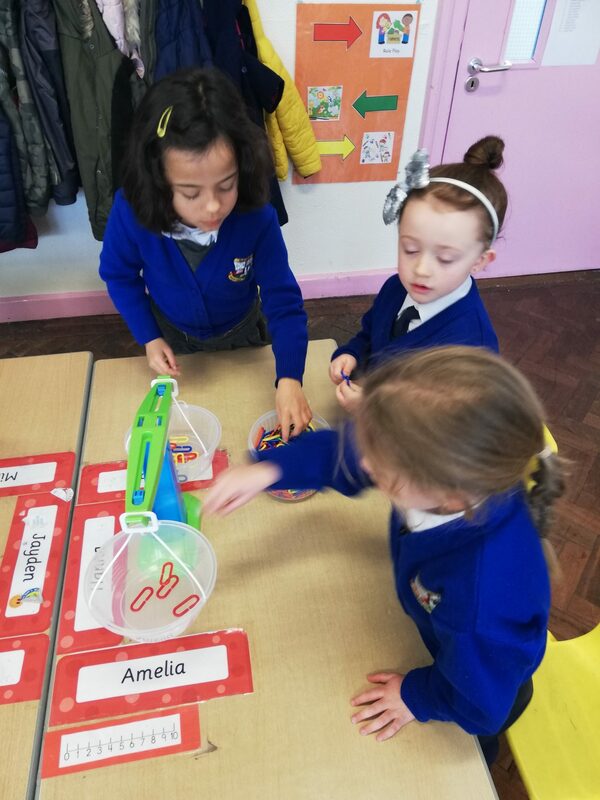 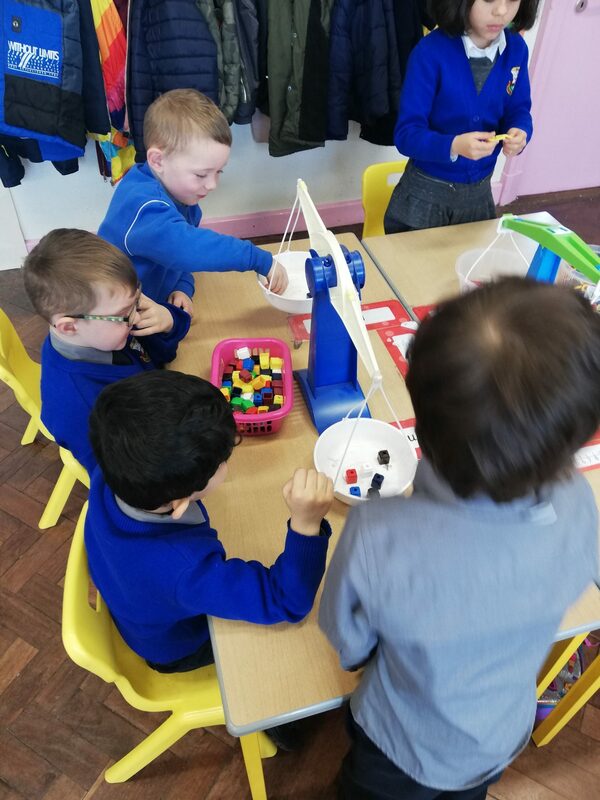 This week we are learning about weight. 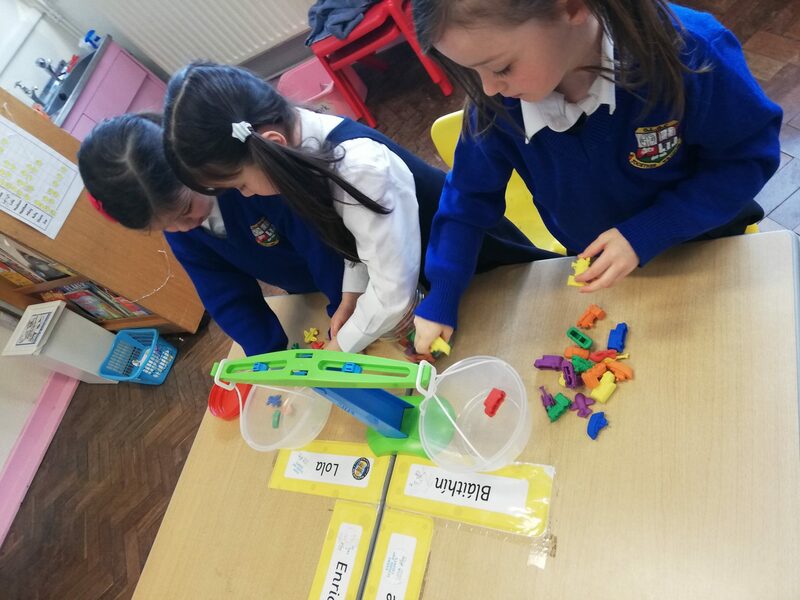 We use the scales and balances to find out what things are heavy and what things are light. 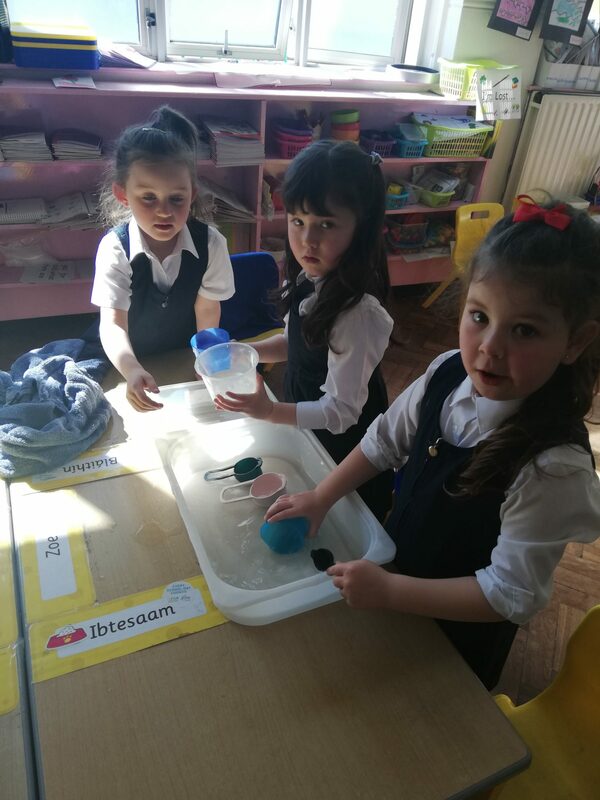 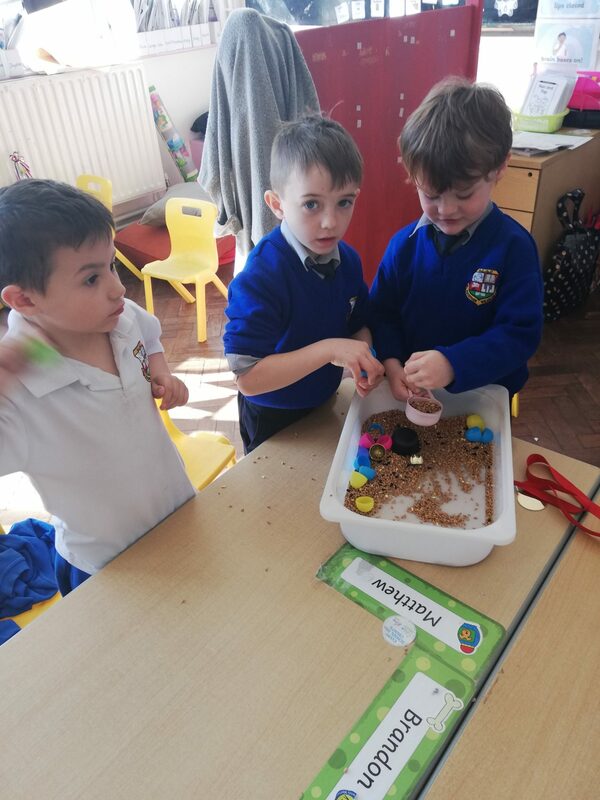 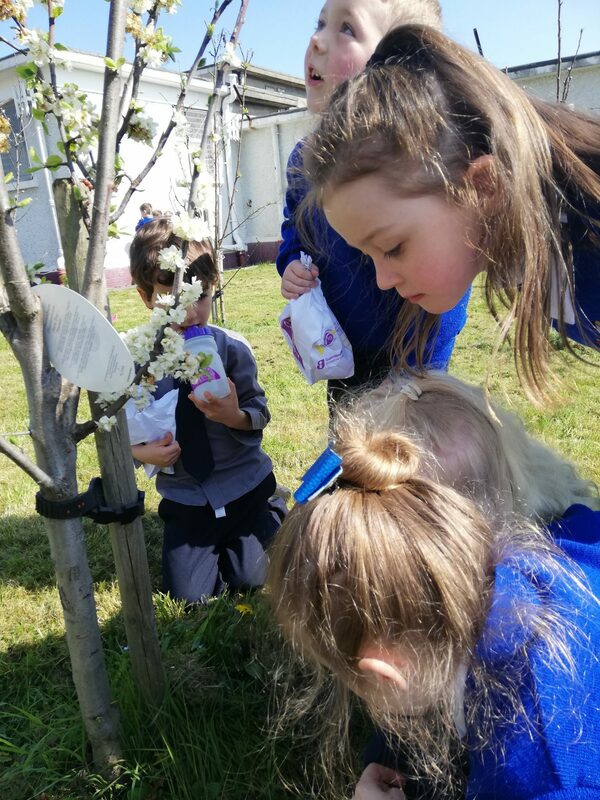 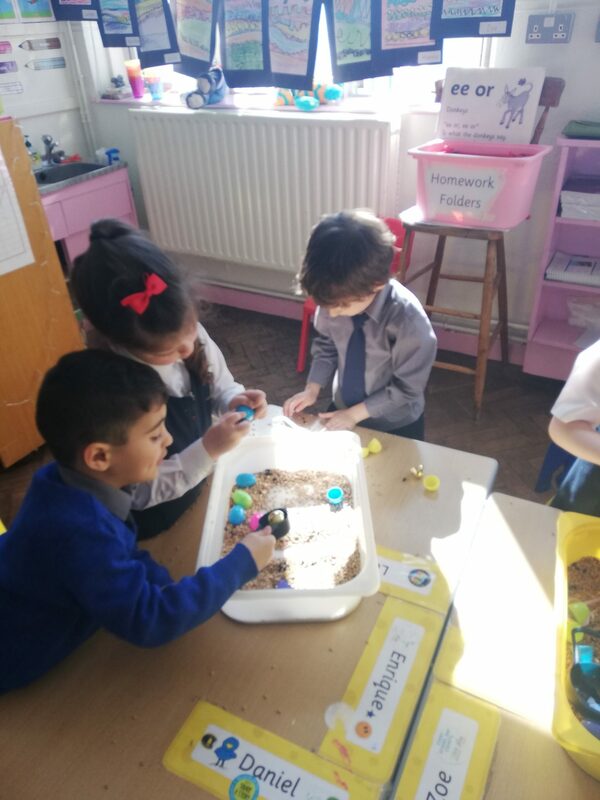 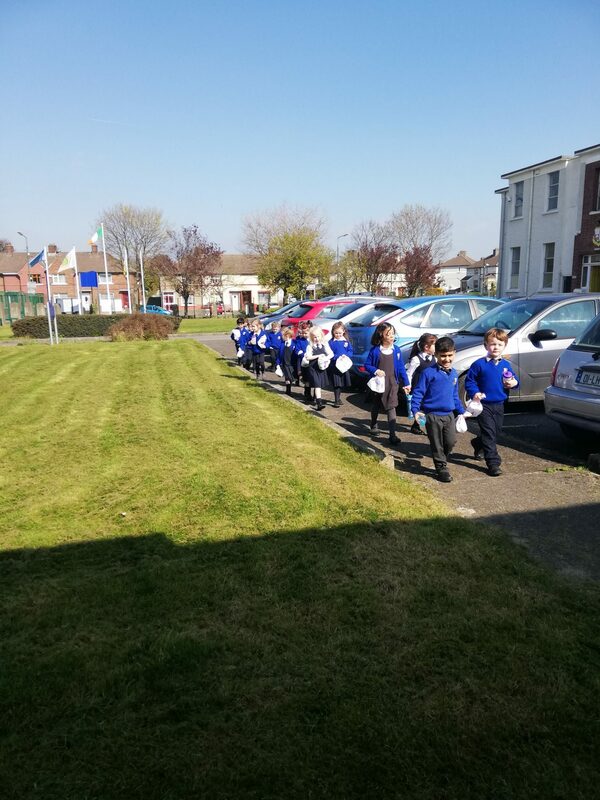 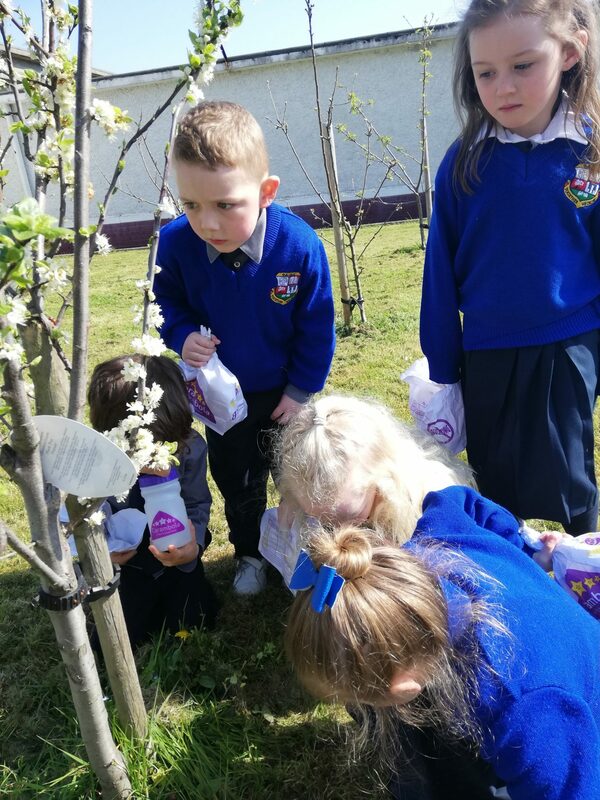 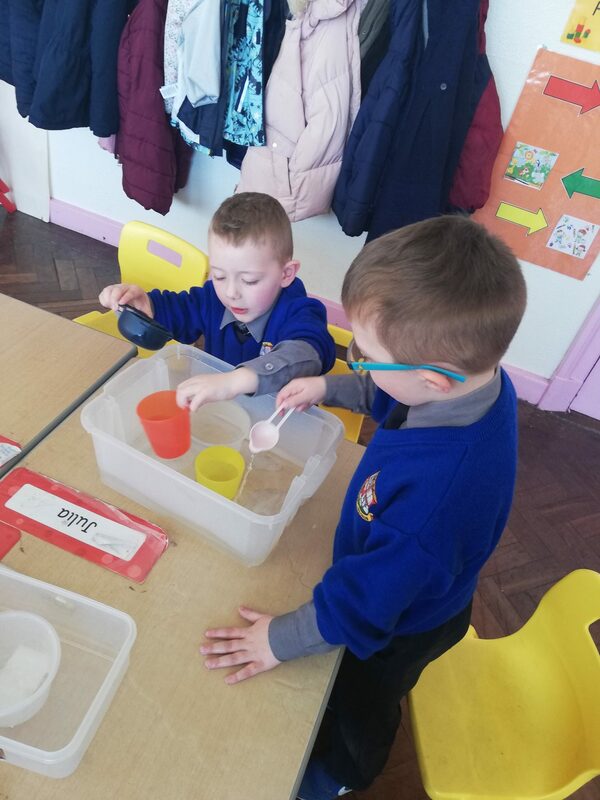 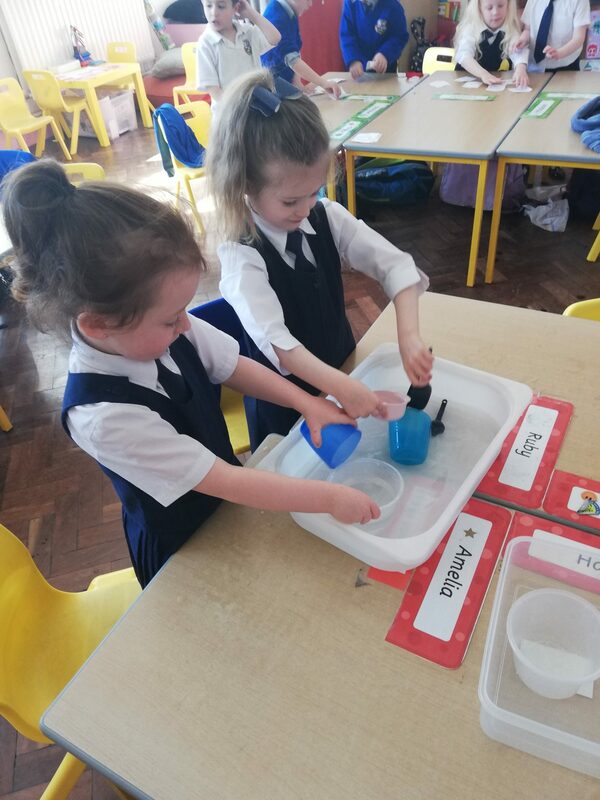 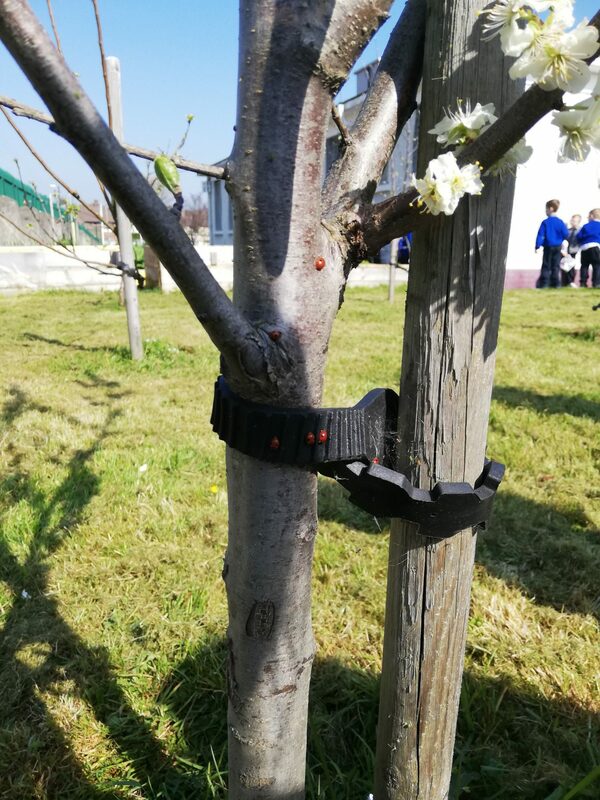 We have also been learning about Spring. 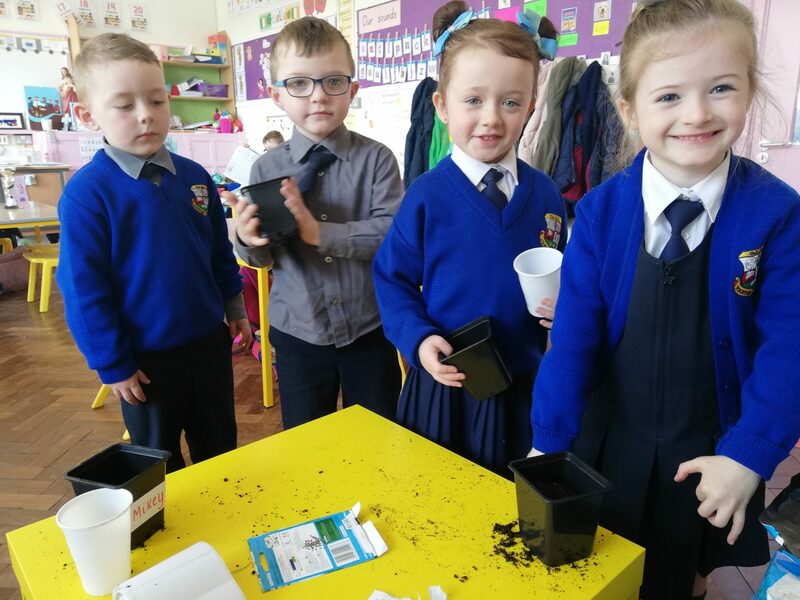 We planted cress and wildflower seeds and have been watching them grow each day!